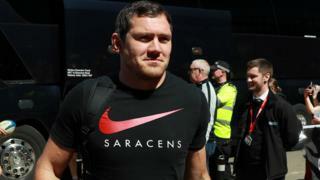 Wales coach Warren Gatland says England put them under "no pressure" as the hosts won in the Six Nations in Cardiff. 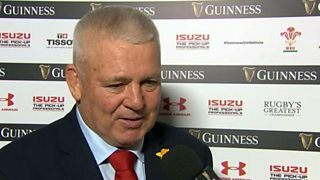 Gatland says Eddie Jones' side created few problems for his team with Wales' own shortcomings allowing England to take a 10-3 lead before Wales hit back to win 21-13. Watch Scrum V Six Nations Special highlights, Sunday, 24 February, BBC Two Wales from 18:00 GMT and later on demand.